Your're talking a lot about beer although best beer is made in Germany and in the Czech Republic. But there is no real passionate whisky thread. You are having it with your daily cereal so this matter is boring too much? Your representatives did all order on public expenses so there isn't anything left for the British citizen? 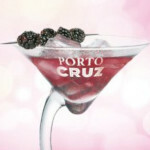 Latterly all whisky goes into Pink Port to find out the ultimate alcopop? What's your favourite cereal moistener? And why? Michael M. wrote: Your're talking a lot about beer although best beer is made in Germany and in the Czech Republic. Careful, you're in danger of being moderated for flaming. As 19th August is my late Dad's birthday, I met up with my brother at the centre of the Universe to have a glass of Glenmorangie with the old fella. Smooth and slick, it was one of his favourites so we both let him have a drop of ours. Not sure what the 14 year olds trying to have sneaky fag on the green made of us but then again, as long as we weren't spying on behalf of their mums they probably didn't care. Highland Park 12 yo sounds delicious. There are also some Whisky boards in this country and many geeks seem to feel for this Single Malt. At 34 EUR (1,0l) available what seems to be a decent price. Unfortunately Lagavulin is more than 40 EUR the normal bottle in Germany and even in France. Oh dear, national feelings affected? So please let me affirm that the UK tradition of drinking tea is surpassing! I have a bottle of Green Spot Irish Whiskey and a bottle of Maker's Mark in my cabinet, but I'm not really what you'd call a fan of whisk(e)y. I have it on hand more for guests, though I do enjoy it on occasion in a Coke. A friend offered to buy me a bottle of Midleton for bringing back a large bag of sports equipment for him, but at 135 Euros a bottle I couldn't accept. I did allow him to buy me a glass at a bar on a later trip, though, and it was pretty amazing stuff. Glen, I am not whisky geek at all because my knowledge and experience is rather limited. However I am interested in that concern and I occasionally I love that stuff- power and complexity. I remember a holiday in Burgundy. At the face normally one would go for the local wine. But one day there was this Talisker 10 yo (often at a great price in France), evolving beautifully in the glas. I started (against my general habit ) in the afternoon and without my legendary self-control I would have drained the bottle (almost ) this day. Just been to Morrison's and they are having a whisky sale, by the looks of things. Going on the £20 is darned good for a 12yo whisky and having had both before, I picked up Old Poultenay and The Singleton. Got a 1990 Ledaig for my birthday from sister and bro-in-law. So currently have six bottles of malt in - quite a nice little tasting. I had today a pretty frosty job in my garden, cutting and chaffing the cobnut bushes. The banging stove in my bower was quite nice. But in the evening the finish did some glasses of The Macallan 12 years old Single Malt Whisky. This is very delicious lasting heat coming from the inside. Have a Glenfarclas 10 years old Single Highland Malt Scotch Whisky today. Pretty dry style, straight character, gains smoothness while warming up. Not a pleaser but full of character. Enjoyed it while listening Pergolesi 's Stabat Mater from radio4.nl- my favoured radio station. I suppose this means that I need to revisit certain whiskies after years of neglect. Looking forward to that, old man . Finally I purchased last weekend my all time favorite SMW, namely Lagavulin aged 16 years. Peat, sweetness, salt, power and comlexity. Far above every other SMW I had so far. Real elixir. I admit to not dropping in here for over 12 months but surely the above posts are the equivalent of discussing South African (not real) Port in the same context as a Fonseca 63? Should we have a "No passionate drinks-that-are-not-whisky thread here?" thread? It's a common error. They don't spot the lack of 'e' and think that we're talking about the same stuff. Whisky and whiskey are different, please also note the use of capital W against small w. I don't like bourbons, anyway, what have biscuits got to do with anything? I've already demonstrated that I'm well aware of the difference. All my SM had been gone so I had to order fresh supply. Two bottles to start. It is Ardbeg TEN (1l) and Ardbeg Uigeadail. Although there is not little hype about Ardbeg I am looking very foward to these bottles. Another one in focus is Highland Park 18 years I could purchase at reasonable 48 EUR. I also consider Glenfarclas 105 ( 60 vol.!) and Laphroaig Quarter Cask (a 10 years old). There is an interesting offer from a German dealer composed of 3 Laphroaig SMs in 0,33l bottes as they are Laphroaig 10 yo, Laphroaig Quarter Cask, Laphroaig CS 55,7%. I think I will go for that. I picked up a bottle of Ardbeg Supernova that I just adore. Very sweet and ocean tasting. Really heavy peat. Nice stuff. Outside of a good bottle here and there, I keep a bottle of JW Black stocked and make due. A few weeks ago I tried some of the Johnnie Walker range when someone I know was kind enough to share a nice box set of smallish bottles from their range. I’m not really a big whisky drinker, but I was surprised at how drinkable the Blue and Gold labels were; they were some of the first whiskies I have drunk where the alcohol was really well integrated and not overpowering. Quite quaffable really. The drop in quality between the Blue and Gold didn’t seem that great, making the Gold seem pretty good value. The Green label was a bit too hot for my liking. Not being a whisky drinker, I’m curious as to how are these blended spirits regarded? And are there others in the style of the Blue and Gold (blended or not) which would be worth investigating if I like those?